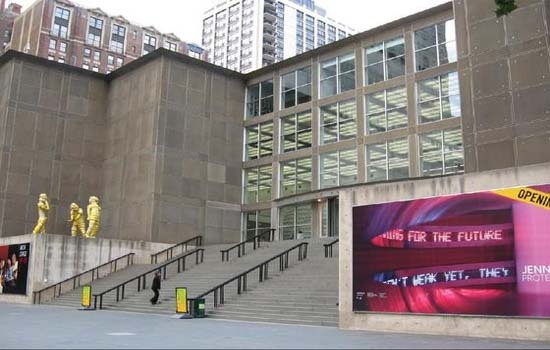 Naomi Beckwith is a curator at the Museum of Contemporary Art, Chicago. Beckwith joined the curatorial staff in May 2011. A native Chicagoan, Beckwith grew up in Hyde Park and attended Lincoln Park High School, going on to receive a BA in history from Northwestern University in Evanston, Illinois. She completed an MA with Distinction from the Courtauld Institute of Art in London, presenting her master’s thesis on Adrian Piper and Carrie Mae Weems. Beckwith curated the exhibition 30 Seconds off an Inch, which was presented by the Studio Museum in Harlem November 12, 2009 â€“ March 14, 2010. Exhibiting artworks by 42 artists of color or those inspired by black culture from more than 10 countries, the show asked viewers to think about ways in which social meaning is embedded formally within artworks. 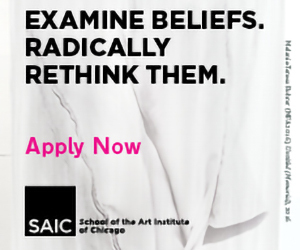 Prior to joining the MCA, Darling was the Jon and Mary Shirley Curator of Modern and Contemporary Art at the Seattle Art Museum (SAM), where he was awarded SAM’s Patterson Sims Fellowship for 2009-10. In 2008, Darling began the program SAM Next, a series of contemporary art exhibitions presenting emerging or underappreciated artists from around the globe. Artist Enrico David, who exhibited as part of SAM Next, has since been nominated for the Turner Prize. Darling curated the SAM exhibitions Target Practice: Painting Under Attack 1949-78 (June 25 â€“ September 7, 2009), and Kurt (May 13 â€“ September 16, 2010). Target Practice showcased the attacks painting underwent in the years following World War II. Kurt explored Kurt Cobainâ€™s influence on contemporary artists. Darling was associate curator at the Museum of Contemporary Art, Los Angeles, before joining SAM. He co-curated The Architecture of R.M. Schindler (2001), which won the International Association of Art Critics â€œBest Architecture or Design Exhibitionâ€ award. The exhibition also won merit awards for interior architecture from the Southern California American Institute of Architects and the California Council of the American Institute of Architects.